Since retiring from the Canadian Sprint Canoe/Kayak team after competing in the 2004 Olympics, Kamini has directed her competitive drive toward coaching the FCRCC Men’s and Mixed Dragon Boat teams. Her initial enthusiasm for the project came from her own positive experiences with the women’s team in her youth and the recognition of great untapped potential in the men’s program. Under her leadership, the teams have flourished, gaining national and international recognition. 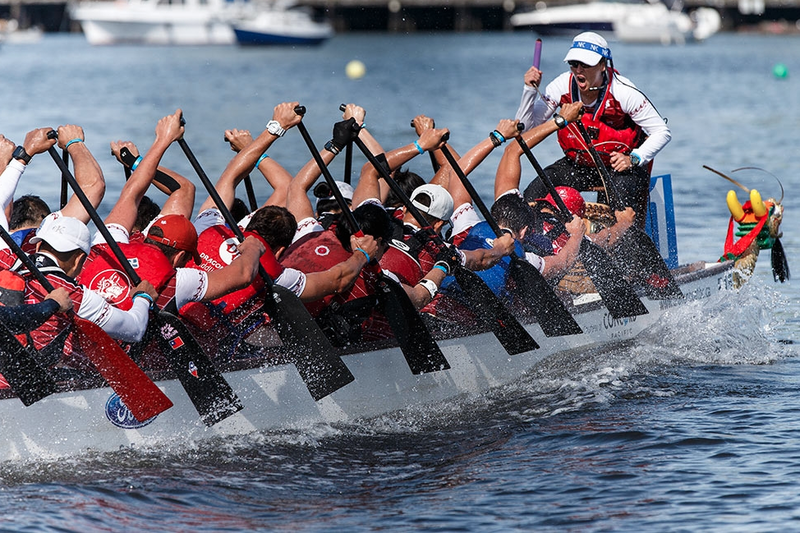 With this success has come the opportunity to restructure the FCRCC dragon boat program to integrate the women into Kamini’s overall coaching strategy, with the valuable assistance of Andrea Dillon. Thus the creation of the new False Creek High Performance Dragon Boat (FCHPDB) Program, launched September 2008. As an athlete, Kamini has earned 11 World Cup medals and competed in two Olympic finals (2000 and 2004) in sprint kayak, has three top eight Molokai OC-6 finishes, four medals in crew boats from the 2008 IVF World Sprint Outrigger Championships, including one world record, multiple OC-1 and OC-6 victories at the Canadian Outrigger Championships and competes as a paddler on the FCRCC Mixed and Women’s Dragon Boat Teams. Kamini’s inspiration to keep competing at a high standard is, in part, to keep her on the cutting edge of coaching techniques as owner and operator of Right Angle Performance, a new company aimed at delivering coaching and instructional tools to the paddling community. With over 38 years of coaching and instructing experience, Andrea contributes her extensive knowledge in marathon canoe, sprint and distance outrigger canoe, and dragon boat to the development of paddlers in the False Creek Premier Dragon Boat (FCPDB) program. A member of the False Creek Women’s team since its inception in 1987, Andrea has seen the continual growth and accomplishments of the athletes in the program both nationally and internationally. Andrea was a paddler on the National Dragon Boat Women’s and Mixed teams for twenty years in both the Open and Master’s categories and a member of the National Canadian Outrigger Sprint team for four World Sprint Championships, all with multiple podium finishes. She was also the National Dragon Boat Women’s team coach for five IDBF World Championships, winning medals in each of the championships. As a coach, Andrea is focused on identifying up-and-coming talent and helping athletes grow into and excel at their sport. She works with her athletes to set achievable goals and motivates them to buy into her commitment to coaching them and getting constant and honest feedback on their training and racing.